In English, you could say both “the time has come” and “the time is come”… but the second one sounds a little more unusual, a little older. This is because in the past, the verb “to be” was used for certain constructions for which we would now use “to have”. Other examples like the phrase above include “I am come”, “the time was come”. 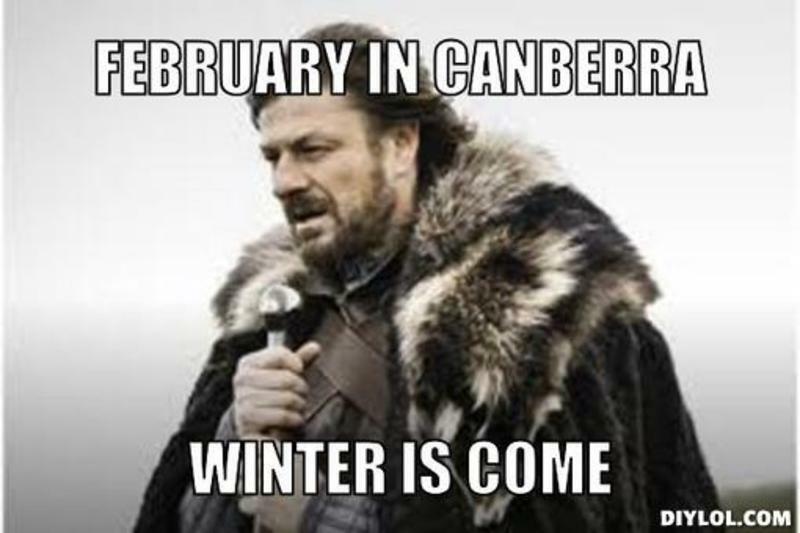 So in Game of Thrones, we’ve known “winter is coming” for quite a while… but when winter finally comes, well, the Starks (if any survive) are just as likely to say “winter is come” as “winter has come”. I must confess I haven’t read all the books, so I don’t know if such a line has occurred yet or is likely to occur. If it does, I’ll be curious to see which one it is. Yes. Bethwack is a word. It meant “to thrash soundly” and was used in the 1500s. As far as I know, no fantasy novels have yet made use of this delightful word. The be- prefix was apparently particularly used to produce words during the 16th & 17th Centuries, and a lot of those words still survive in present-day English (According to: Online Etymology Dictionary & English Language and Usage). bethwack, betongue “to assail in speech, to scold”. Bespoke is an interesting one, as it is often used incorrectly. Bespoke means “custom-made” or “made to order”, in the sense of “spoken for, arranged beforehand”. Presumably, because of its old-fashioned-ness, some companies have started using it in their names and advertising, for example “bespoke books”, when their products are by no stretch of the imagination custom made (as this post on Gawker laments). But what, exactly, are these old things, and why do we have them, if we now just use here and there and where? We still retain some of these forms in present-day English in words like henceforth (literally: from here onward). Interestingly, this line uses “from” as well as “whence”, which isn’t really necessary as whence already incorporates “from”. I’d hesitate to proclaim this grammatically incorrect because I’m no expert, but this article suggests that not only is this wrong, but this is an error English speakers have been making for quite a long time. 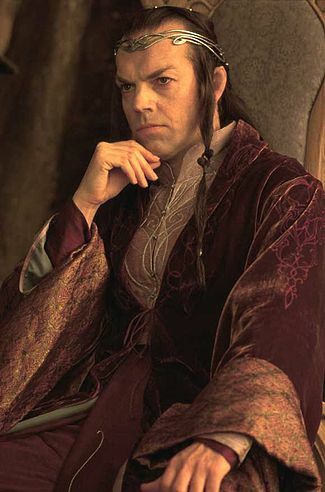 Regardless, the whence is in this line of dialogue for one reason alone: to make Elrond’s statement sound that little bit more grand and old and important. Come not between the Nazgûl and his prey! Or he will not slay thee in thy turn. He will bear thee away to the houses of lamentation, beyond all darkness, where thy flesh shall be devoured, and thy shrivelled mind be left naked to the Lidless Eye. Ye was the plural form of ‘you’, and was used to speak to a group of people. In the 15th–17th Centuries, it was also used as the more polite, respectful form for addressing one person. Thou was the singular form of ‘you’, used to address one person. In the 15th–17th Centuries, it was considered the less polite, more intimate/informal form. Eventually “ye” became “you”, and this more respectful “you” form drove out nearly all uses of “thee” and “thou” (Thou, Thee and Archaic Grammar). Funnily enough, modern slang inventions like y’all, you guys and youse are an attempt to deal with our lack of a plural second person pronoun. While I don’t often see ‘thee’ and ‘thou’ used in fantasy today, the old inflections from the same period -(e)st and -(e)th crop up occasionally: doth, hath, sayest etc. And even if we don’t see fantasy characters regularly using these forms nowadays, I think they’re still likely to live on in the snippets of invented poems, songs, legends and historical/religious writings that crop up in fantasy novels. It’s an effective way to suggest the historical language of a fantasy world, because we associate it with the historical language of our own world. Sometimes fantasy novels make things sound old or grand by placing an adjective after the noun it modifies, rather than in front of it, as is the tradition in present-day English. 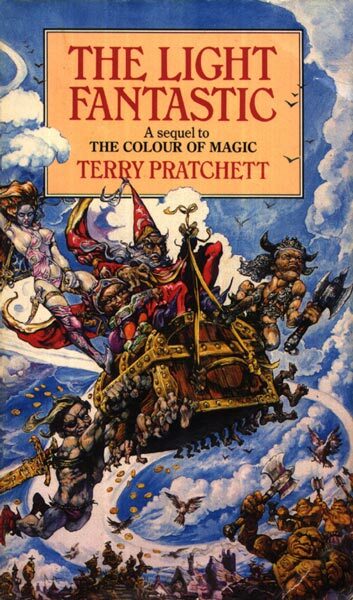 And you can see this in the title of Terry Pratchett’s comic fantasy novel The Light Fantastic, which is actually a quote taken from John Milton’s poem L’Allegro, published in 1645. For some reason that simple shifting of an adjective can suddenly make something sound grander, more mythic, more old, especially when the adjective is something like everlasting or eternal. Where in present-day English we would simply omit the subject. Do All Epic Fantasies Use Archaisms? After going through all these archaisms, I think it’s important to point out that not all epic fantasy authors use them. Many simply use a more formal register of present-day English, so that the language doesn’t jarringly remind us of our contemporary culture but still sounds normal. For example, you won’t see many epic fantasy characters saying things like “cool” and “what’s up?”. This kind of informal language is more the realm of contemporary fantasy. The film version of the scene strips away pretty much all of the archaisms, from adding the modern ‘do’ construction back into the “Come not between…” line, right down to reordering Eowyn’s final line to be: “I am no man” rather than the original “no living man am I”. I guess some archaisms are just too awkward to hear spoken aloud these days. Why Do Fantasy Authors Use Them? When fantasy authors use archaisms, it’s worth mentioning that they’re generally not being historically accurate. By this I don’t mean that they use fake archaisms (though I’m sure that happens), but that their use of the archaisms is chronologically contradictory. For example, a fantasy author might use an archaism that fell out of common usage by the 17th Century, together with an archaism that only came into use after the 17th century. They might invent a fantasy world reminiscent of the Early Middle Ages, but use words and forms that didn’t come into use until the Late Middle Ages. Ultimately, this doesn’t really matter, because it’s not about being historically accurate. The point is to create the feel and flavour of a past world, not an accurate representation of it. Some people will argue that archaisms in fantasy are cheesy or clumsy – a cheap trick where authors scatter about a few old words and some old-fashioned grammar. But as Mandala points out, many fantasy authors have made skilful and consistent use of archaisms, and use archaic language to add nuance and depth to their story. As a writer, using archaisms is not easy… it requires you to put your everyday language aside and retrieve older forms of speaking… and not only that, but to do it correctly and consistently, and weave it into the narrative so it doesn’t sound jarring to the reader. So while I probably wouldn’t have the patience or the inclination to use archaisms in my own writing, I admire authors that manage to do it well. The thing with thee/thou/thy and other archaic language is that they’re confusing. Although, as you say, they conjure up great pictures of a bygone era, I find it difficult to keep that up for very long. Yes that’s always a danger – too much archaic language and you might just confuse people. Particularly with thee/thou, it’s a hard thing to sustain… Perhaps best used sparingly. Personally, I don’t think I’d be game enough to use it at all… Hard to pull off, and I might just end up confusing myself or doing it wrong!